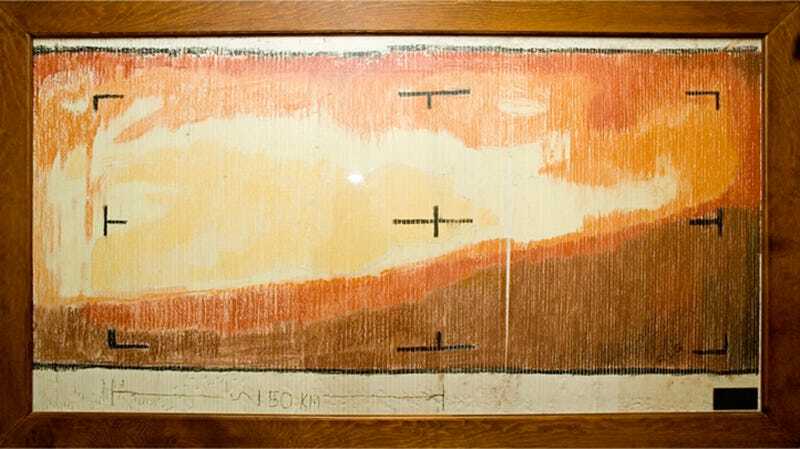 After Mariner 3 failed to take images because of a hardware problem, Mariner 4 became NASA's next big hope to get images of the Red Planet. There were going to be ten Mariner missions, but they wanted these badly. The spacecraft did its first flyby on July 15, 1965, at 00:18:36 UT. It took 21 pictures alternating green and red filters, which were saved to tape. Then, the probe went behind the planet and the signal was lost. Scientist at the Jet Propulsion Laboratory in Pasadena, California, waited impatiently, listening to static as Mariner 4 travelled fearless across the dark side of Mars. At 03:13:04 UT signal was reacquired. All systems were nominal, cruise mode was re-established, and transmission of the images started 8.5 hours later. It lasted until August 3. The people at the JPL were so excited to receive the images that they couldn't wait for them to be processed by the lab's imager. As the first picture was beamed down as a stream of 8-bit numbers—each point indicating a brightness point—they thought of a quick way to get an image straight away: Print the numbers indicating brightness in paper strips, put them together, and color them with pastel crayons. Click to viewI don't know about you, but I like the crayon version better than the actual image.